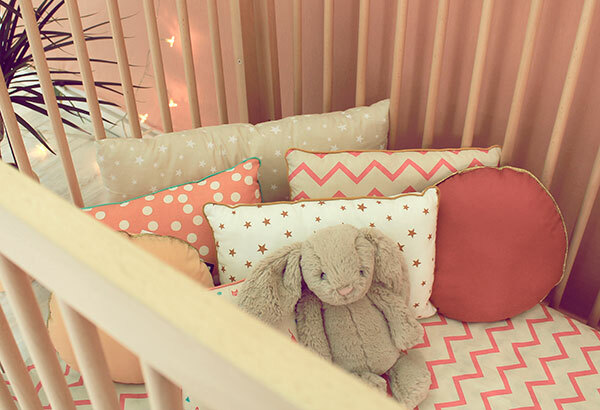 Nobodinoz 2015 collection of nursery decor delights! If you’re unfamiliar with Spanish brand Nobodinoz, here’s a post that’s going to make you want to rectify that situation, pronto. 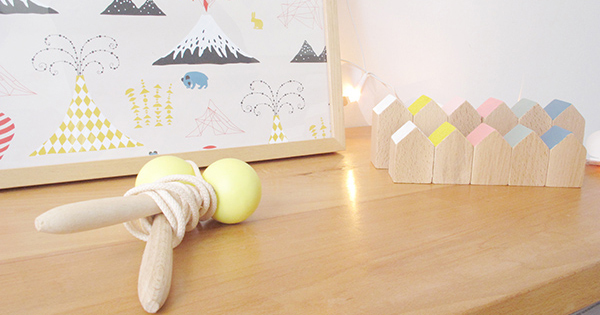 Nobodinoz is going to set your design loving heart more than a flutter, expect palpitations. Click on through to see the new and drool worthy collection Nobodinoz has to offer. 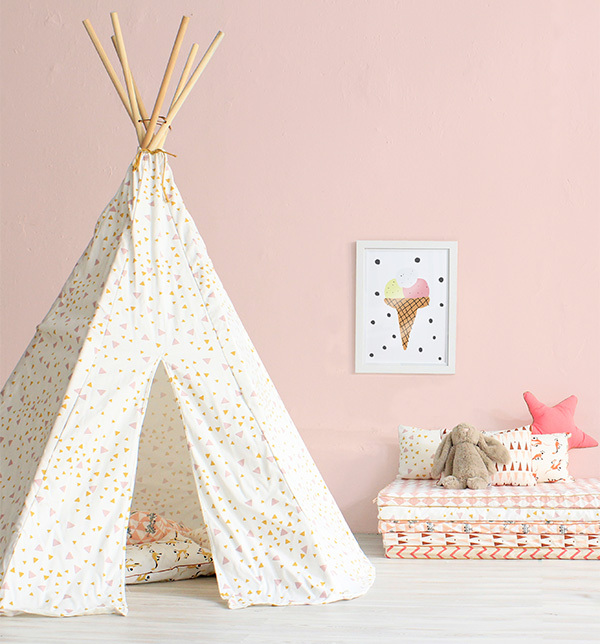 From beautiful furniture to sublime linen and all manner of soft furnishings, clothing and trinkets in between, Nobodinoz fulfills all of your decorating dreams with their 2015 collection. 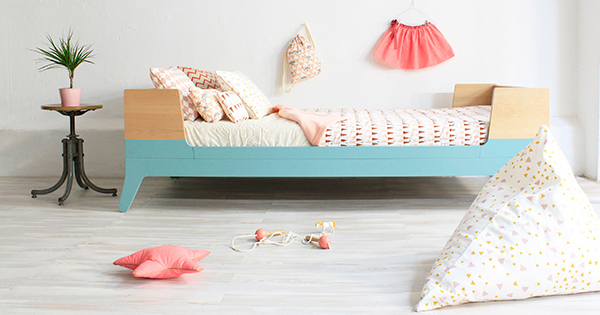 Nobodinoz furniture is a perfect for contemporary decors and the added splash of colour from the paint dipped effect gives a subtle dose of fun to your space that’s easy on the eye. 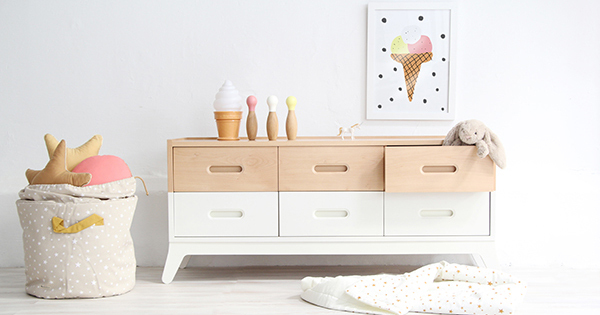 Not to mention that this furniture won’t be easily grown out of – the Wooden Cot (€695) converts to a toddler bed and the Horizon Sideboard (pictured top, €695) can act as a dresser in a nursery, but be just as at home in your living area – it’s undeniably very clever of the Nobodinoz design team. 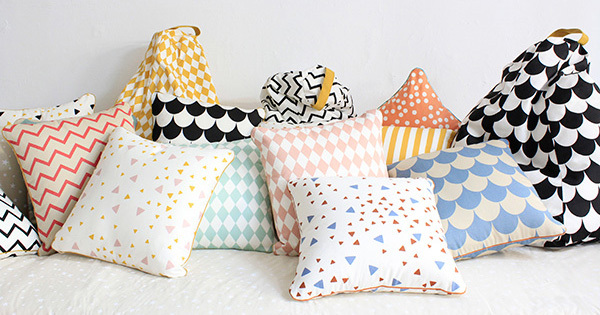 2015 is full of gorgeous colour and printed textiles for Nobodinoz. 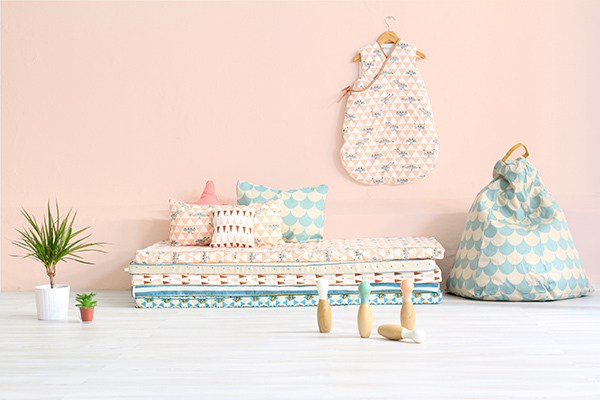 Cushions (34.95), beanbags (€57.95), mattresses (€54.95), blankets (€36.95) and manchester galore are all created from the same beautiful summer sorbet hued palette, whether they be of a gorgeous solid colour or emblazoned in scallop or harlequin printed glory. For some serious eye candy, run on over to Nobodinoz and see all that’s on offer for yourself. Shipping to Australia is available.